I cut the keg on the tallest ridge that transverses the keg. Then I took out the spear and removed the ball and spring from the spear. I then jb welded the hollow spear upside down onto the top of the spear opening to create a smoke stack. 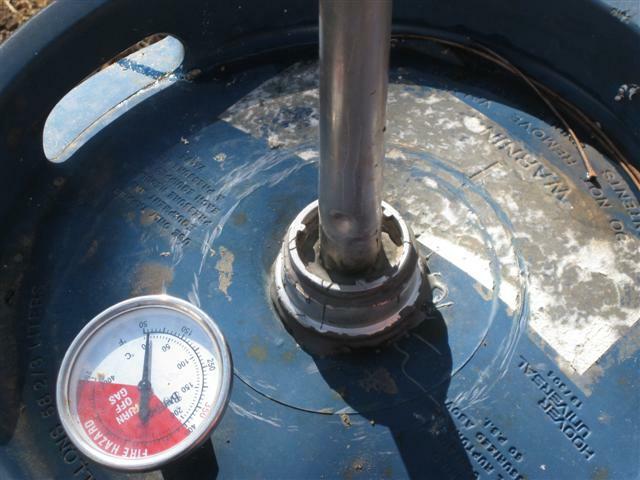 I also installed the thermometer by drilling a small hole in the top of the lid for the probe. I measured the accuracy of the dial thermometer with a digital thermometer at grill(meat) level and found that it is surprisingly accurate. I measured 1" down from the cut on the bottom portion and drilled 3 holes for my bolts to go through for the grilling platform. Then I measured 7" down from the previous holes and drilled 3 more holes for bolts to support my drip pan platform or a lower grilling platform if I want to sear meat. 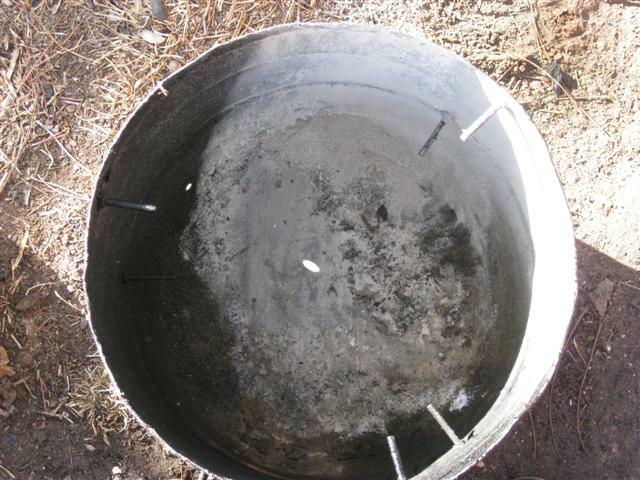 I also drilling 3 holes close to the bottom of the lower portion of the keg for the coals and wood to get air intake. I then bent in the ridge on the bottom portion of the keg and bent out the top portion of the ridge so they would slide over top of each other. I then wrapped each lip with aluminum tape to 1) protect people from the sharp edges and 2) to minimize heat loss through the gap. 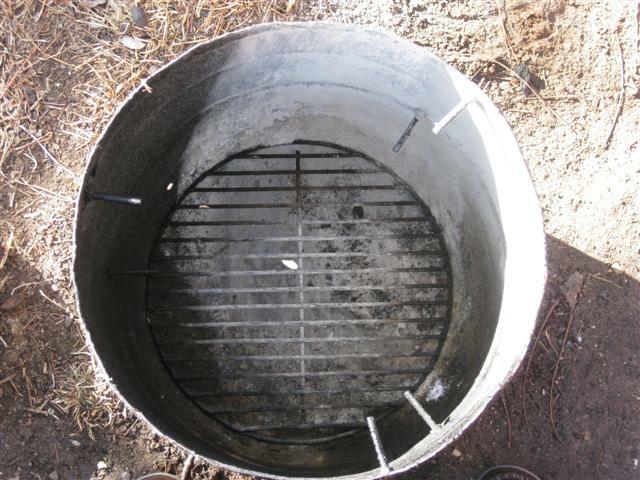 Then you simply add your grill grates and start your fire. 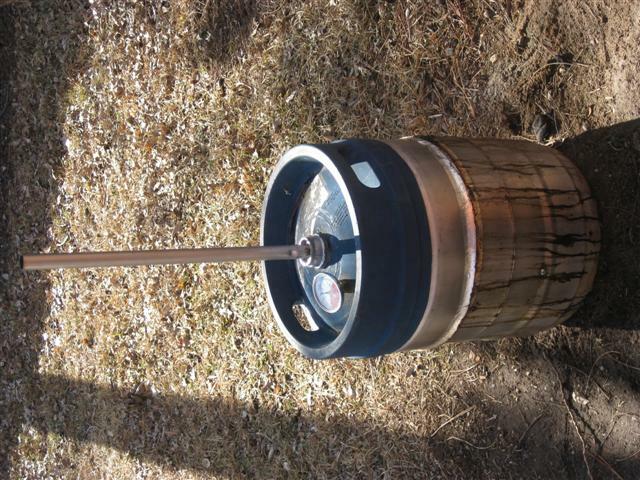 The bottom grate simply rests on the circular shaped bottom of the keg. 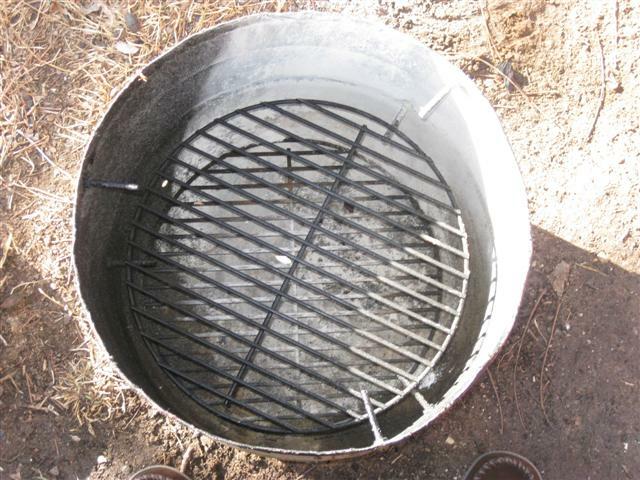 There is enough space for me to put a fire starter underneath the bottom grate and pile briquettes on top of the grate. After 20-30 min, I am ready to throw on a few chunks of wood and close everything up. 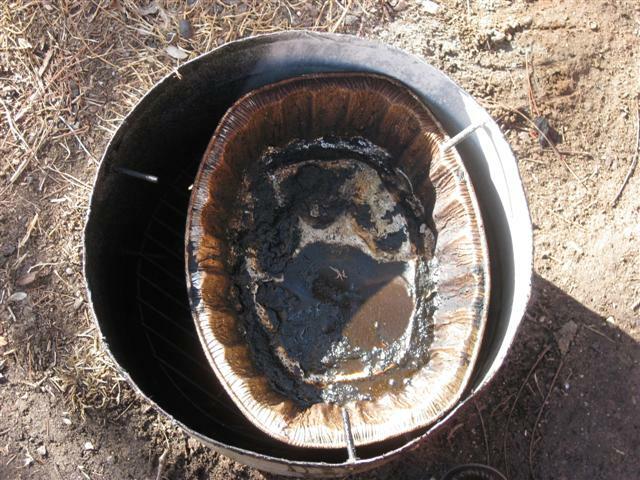 The meat grate goes above the drip pan and the lid must go on immediately to keep in heat. If you build it, they will come. My holiday smoked turkeys have been a hit this year with everyone that has tasted them. My wife says they are the best turkey she's ever had in her life, and I after making 4 this year, I can say they come out consistent. I'll post a few pics of it in action in a few weeks. This is awesome. And it looks easy to make. It is very awesome. I'm very happy with it. I don't know if I'd go out and pay a lot of money for a keg to do this, but I had a few extras laying around when I got the idea. similar setup on my uds. i'll post some pics if i'm ever home during sunlight hours. A chicken I smoked yesterday for dinner. 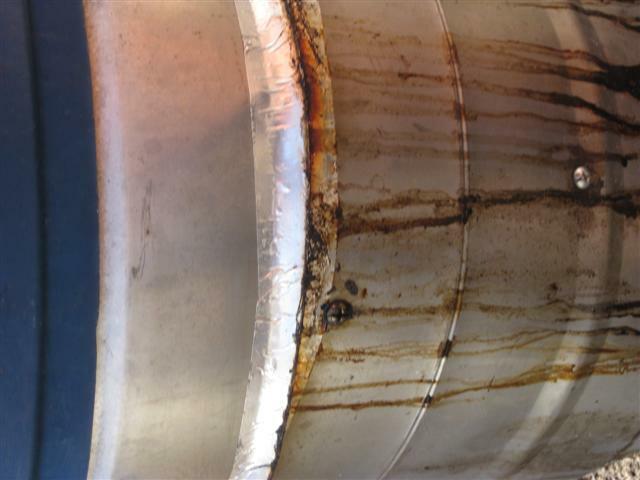 here's my uds, the barrel was free, so why not? the magnet is to control the air inlet. where did the free drum come from? stole it from a hobo. Friggin hobos. They have all the cool stuff. You work for hobos, cool! Nothing cooler than a genuine hobo knife, hobo house box, or hobo shopping cart. where do you buy them for $20? i mean the type of place, like is it a chemical company or a food service company or is it literally a drum and barrel company? im trying to figure out if there is a company around here that has a similar line of business. they're fine to use after you burn em out. fire is a great cleaner.